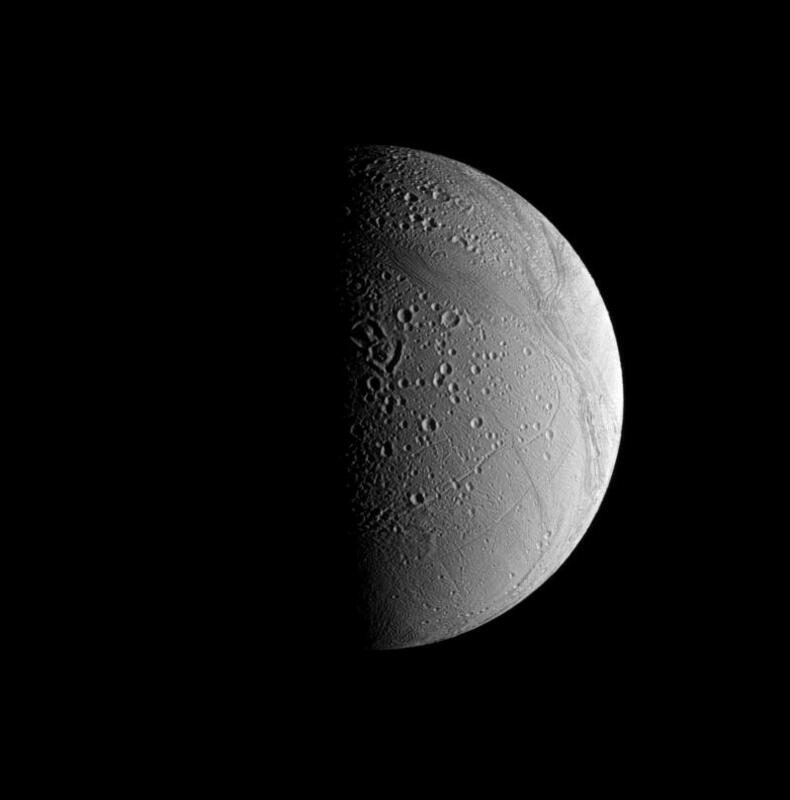 Craters on Enceladus tend to be modified by a couple of different processes that are visible in this view. Most crater rims on this icy surface appear to have softened, or "relaxed," shapes compared to the initial, sharp edges they likely possessed when first formed by impacts. Additionally, systems of tectonic folds and fractures cut through craters, like those at top center, repaving the more ancient, cratered surface. One of the largest of these systems is Samarkand Sulci, which stretches from lower right toward upper left in this view. 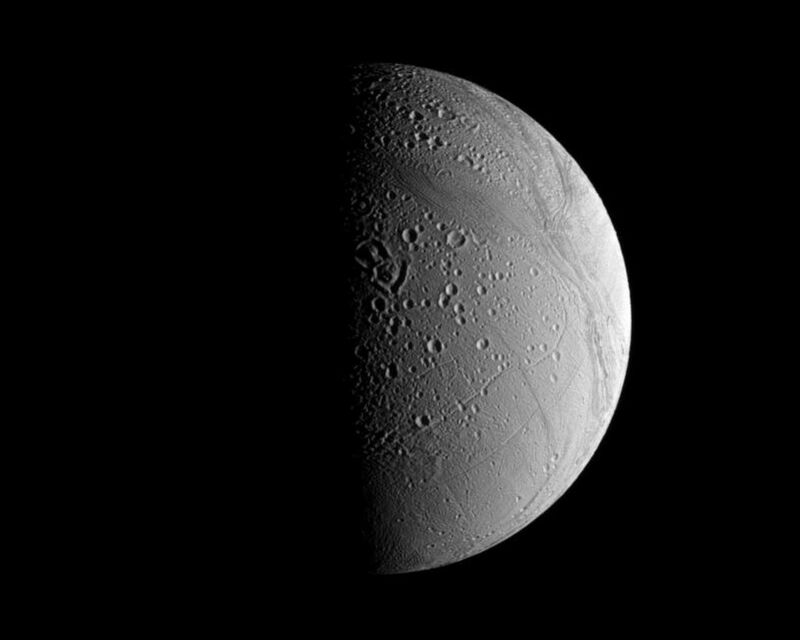 The view looks toward terrain near the north pole of Enceladus (504 kilometers, or 313 miles across) from 48 degrees above the moon's equator. 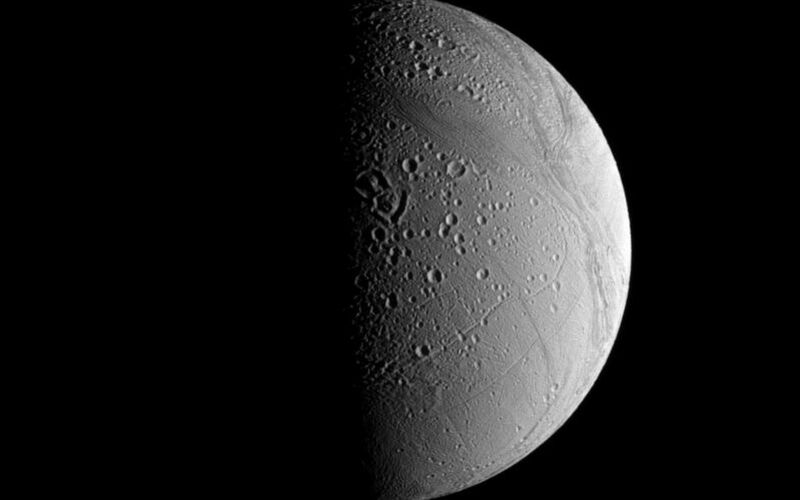 Lit terrain seen here is on the moon's Saturn-facing side. North is up and rotated 16 degrees to the left. The image was taken with the Cassini spacecraft narrow-angle camera on June 30, 2008 using a combination of spectral filters sensitive to wavelengths of polarized green light centered at 617 and 568 nanometers. 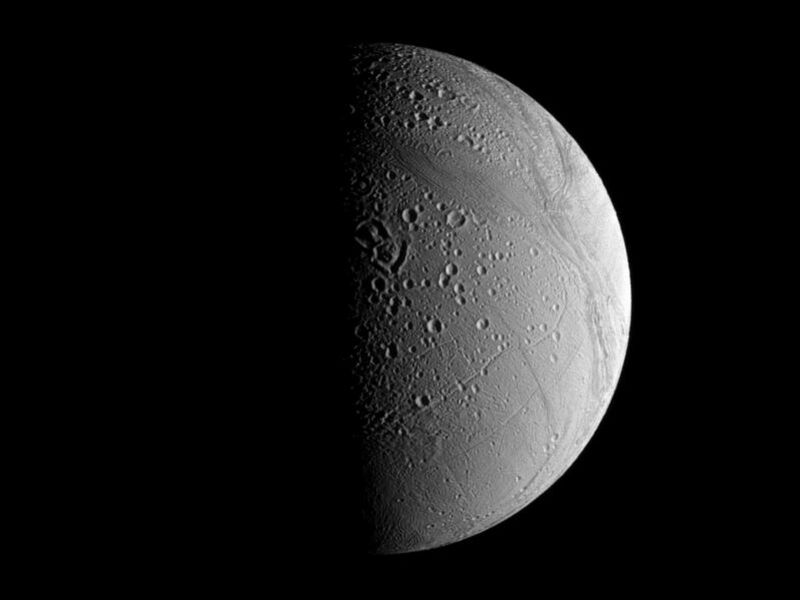 The view was acquired at a distance of approximately 161,000 kilometers (100,000 miles) from Enceladus and at a Sun-Enceladus-spacecraft, or phase, angle of 85 degrees. Image scale is 962 meters (0.6 mile) per pixel.